If you’re a homeowner looking to revitalize your home with a fresh repaint or maybe you just want to restore or paint some furniture, the easiest way is to use a handheld paint sprayer. Wagner has been making homeowners high-quality handheld paint sprayers for years. Recently, Wagner has added the versatile Flexio 570 into its lineup of paint sprayers and it is a smaller unit, which means it’s simple to move around the home. 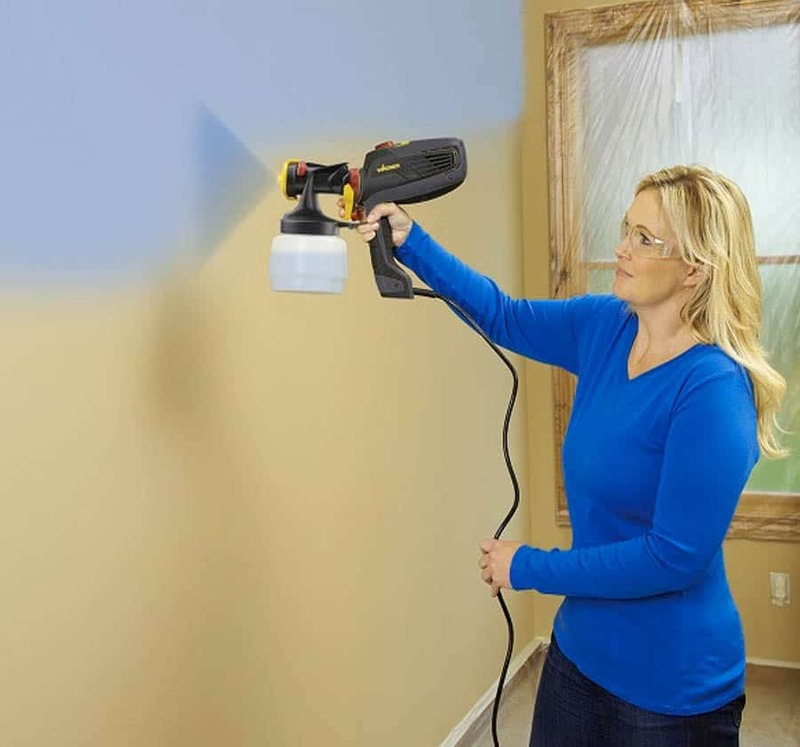 If you’re wanting to add a bit of color to a room or retouch your furniture, the Wanger Flexio 570 paint sprayer can get the job done in just a couple minutes without a hassle. The main decision factor with the Flexio 570 is its mobility. In addition to their already impressive collection, Wagner has added yet another efficient handheld paint sprayer in the Flexio 570. Being part of the Flexio range makes it the little brother to both the Flexio 590 and the Wagner Flexio 890 paint sprayers. 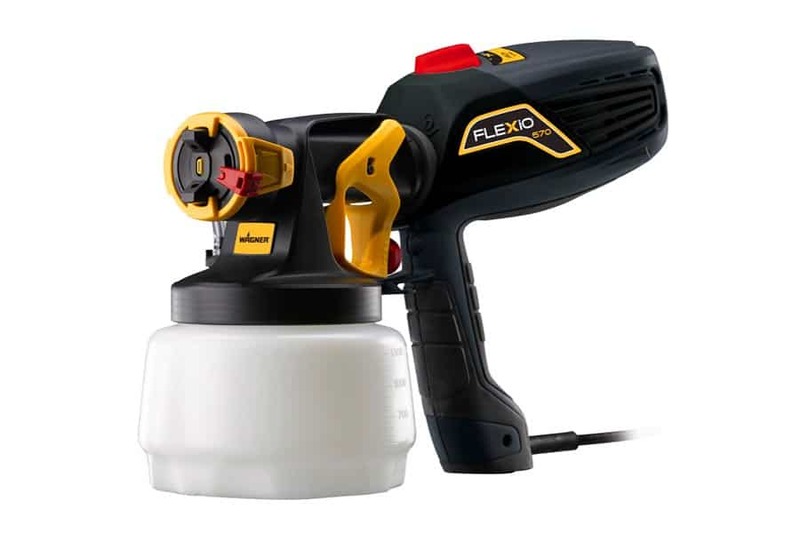 The Flexio 570 was designed for multipurpose painting needs around the home. Renovations can be long, stressful, and exhausting. Especially when you’re working with multiple tools (that are often big and bulky), you can get sore pretty quickly and often have to extend a project to a few weeks instead of a few days. This model can be easily carried inside and outside for your interior or exterior painting needs so you can get the job done quicker and with less strain on your body. 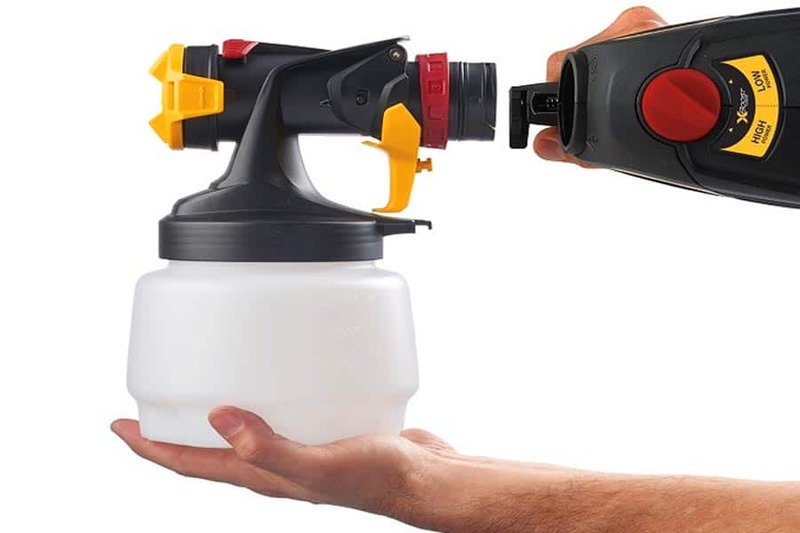 Choosing the best paint sprayer can be difficult, especially with the huge variety of sprayers on the market. It’s important to know exactly what kind of painting you’ll be doing at home in order to choose the right sprayer. For most homeowners, there are a variety of repainting jobs that will need to be done, and they aren’t all the same. The Flexio 570 works with several different paint types including latex, urethanes, sealers, and oil-based paints. The Flexio 570 includes two attachments so you can change up your painting style depending on the project you are working on. 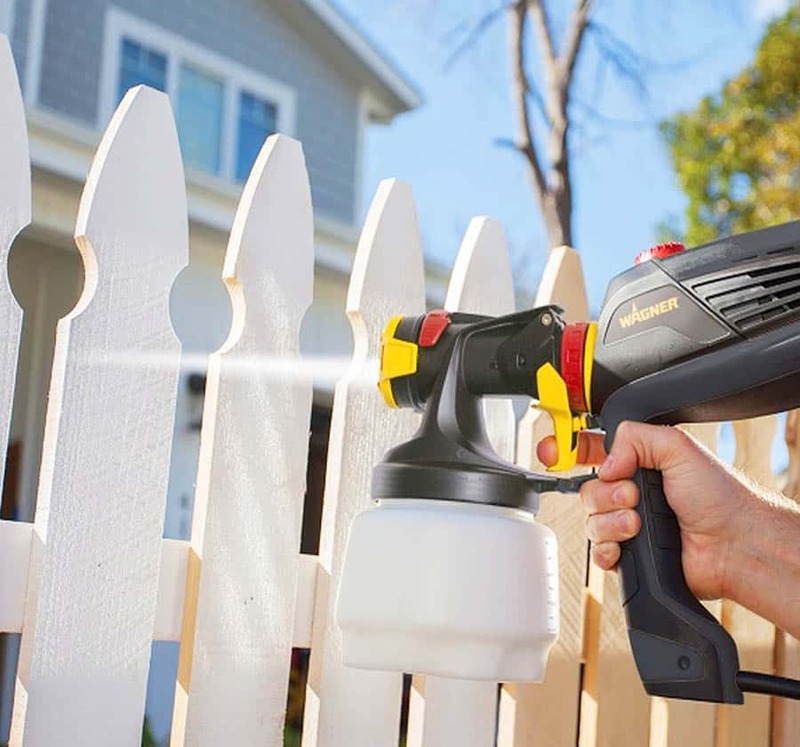 It can be used both as an interior paint sprayer and also for the exterior, making it a versatile choice if you know you’ll be doing work both inside and outside the home. 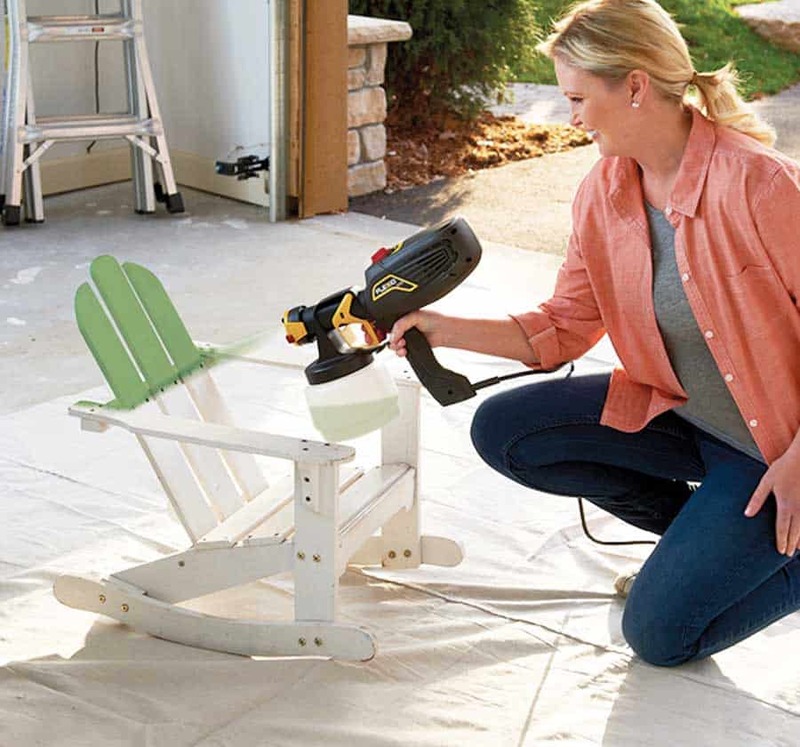 Whether you’re looking to repaint a room or touch up your patio furniture, the Flexio 570 can work for nearly every project inside and outside of your house. One of the most notable features the Flexio 570 offers is the adjustable power dial. The X-Boost turbine produces 3x the power (65,000 RPM) of similar paint sprayers so you can get more done with less work. The dial has two settings so you can adjust the power depending on the job. It can spray unthinned interior paints or thinned exterior paints by the flip of a switch. As a homeowner, one of the most dreadful tasks in home renovations is the thought of cleaning up after all is said and done. Thankfully, the Flexio 570 offers relief to homeowners who aren’t a fan of messy paint. 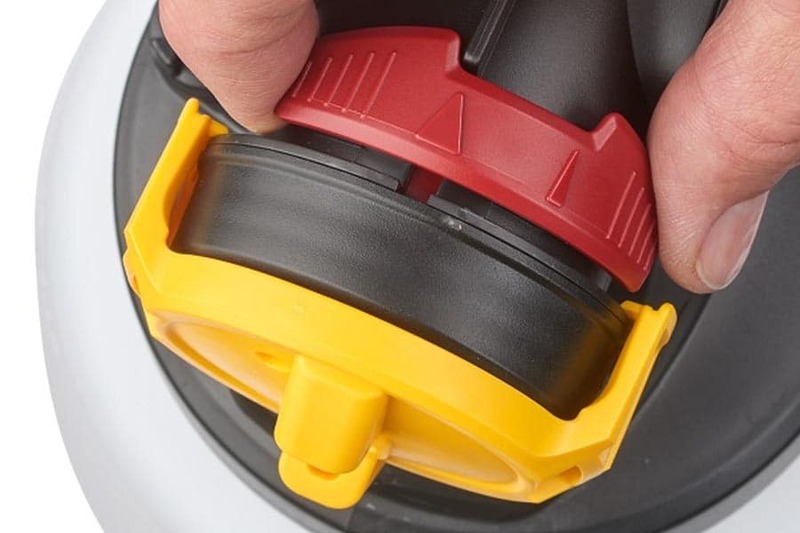 The paint sprayer features a Lock-n-Go system that allows you to switch between different colors and simply clean the sprayer without a nasty mess. The highlight feature of the Flexio 570 is its iSpray technology. This feature lets you take advantage of up to 60% more airflow while spraying the smoothest, most professional coat. This means that instead of taking days or weeks to get your painting done, you can get it done in a fraction of the time without sacrificing quality. The iSpray nozzle allows for horizontal and vertical (and wide or narrow) spray painting with its adjustable lever so you can efficiently tackle any project. Let’s take a look at the advantages and disadvantages of the Flexio 570! Wagner is an authority in the paint spraying industry and continues to produce high-quality user-friendly machines for the everyday homeowner. When it comes to the Flexio 570, mobility, versatility, and speed are its main advantages. Wagner built this machine as an all-in-one sprayer that will get most household jobs done whether inside or outside. The X-boost power turbine allows for 60% more airflow to spray more, quicker, without sacrificing the quality of the work, giving you a quicker, easier paint job. As it is a handheld machine weighing in at only 4 pounds it makes it easy to take from place to place. Its smaller frame means you can easily bring it in, out, up, down, and on the road, wherever you need. Though the size does limit its capabilities in terms of handling bigger projects, it is the perfect fit for the everyday homeowner. If you’re someone who wants a simple, easy to move, multi-functional paint sprayer for everyday projects at home, then the Wagner Flexio 570 may be the perfect paint sprayer for you.